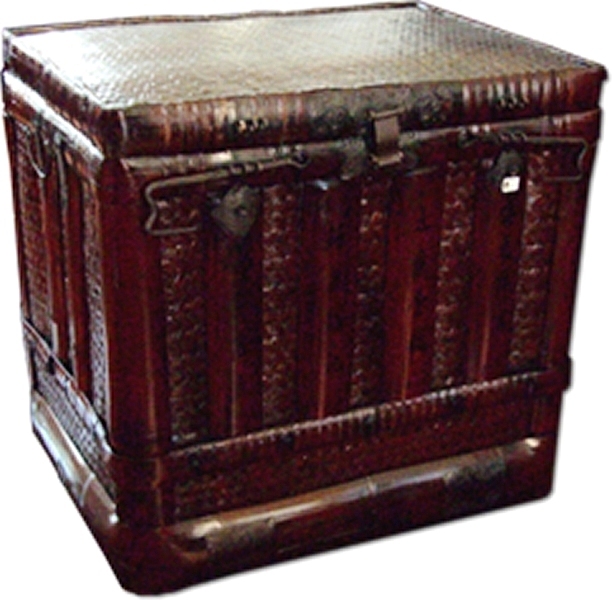 Antique rattan trunk. Chinese antique rattan is so hard to find in such lovely condition and this piece is an absolute treasure. An unusual book trunk with a hinged lid and a shelf inside. A fascinating example of locks and a beautiful colour, set this piece off brilliantly and it will add a touch of splendour and intrigue to your home. It dates from the mid to late 19th century and comes from Anhui province.